What it’s like to launch a startup that makes a difference for underserved communities in Nigeria? Company Builder recruits individuals with diverse yet complementary skills to explore and create. Participants work together to understand financially underserved Nigerians’ aspirations and challenges, generate business models to address those issues, and work with future co-founders to validate their solutions. All of this is done with the aim of co-building a scalable fintech startup with Venture Lab’s continued support. In partnership with the Mastercard Foundation, Accion Venture Lab launched its first Company Builder cohort last year. Participants formed six teams, one was selected as the awardee, and two others have continued to build their companies. As we look for entrepreneurs to join the second Company Builder cohort, previous participants reflect on their experience in the program. 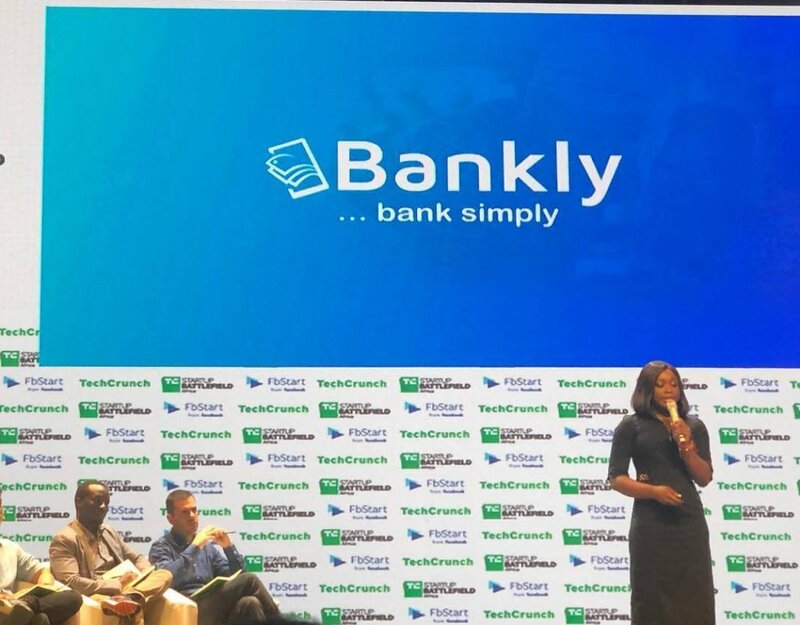 Bankly CEO Tomilola Adejana presenting at TechCrunch Battlefield Africa in December 2018. “Company Builder gave me the push and the enabling environment to try and build the company of my dreams. A shot worth taking for anyone,” says Bankly CEO Tomilola Adejana. Bankly is a voucher-based payment solution that enables people to complete transactions at the point of sale without a debit card or even a bank account. Since completing the Company Builder program, Bankly has participated in GreenHouse Capital’s 2018 Female-Focused Tech Accelerator Program and in TechCruch’s Battlefield Africa. Farmnet has evolved from a microlending and saving platform for smallholder farmers to a market maker for agricultural commodities that also provides credit to purchasers. Despite his several years of experience in the payments industry, Emmanuel still felt that the Company Builder program was a learning experience for him.“It’s taught me how to start a business and gave me the belief that I can do anything I set my mind to, knowing there’s a process that can help me to achieve that dream.” His Farmnet co-founder, Abdul Adejoh, also found Company Builder illuminating. “They told us to first make sure that whatever you’re doing works. If you can’t do on paper, you can’t do it online. That was the best advice,” he says. 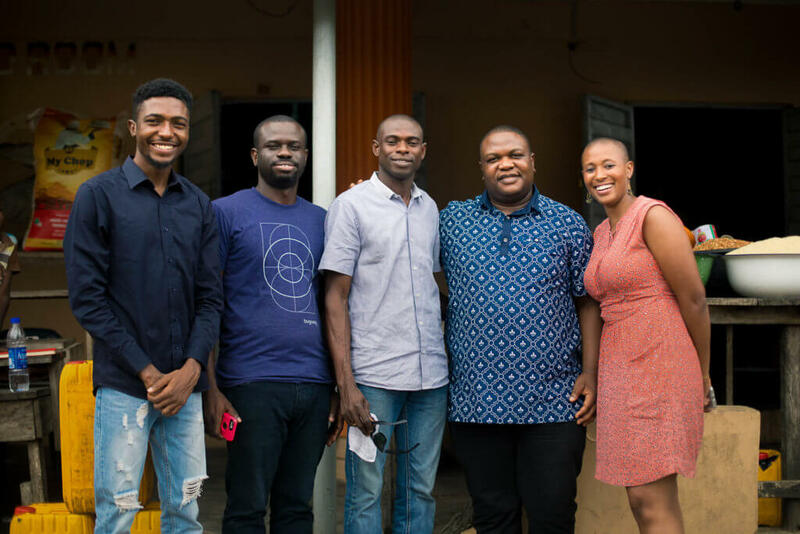 Lever, a payment agent management and liquidity platform, was selected as the first Company Builder Awardee and received a $100,000 grant from Mastercard Foundation, office space, and ongoing support from the Accion Venture Lab team as they launch a full-scale pilot. Ayo recollects that he “came into the Company Builder program with the intention to come out with something that would be relevant for now and the future and through our interaction I identified that [Lever co-founder] Tosin Olanrewaju had the same innovative ideology, same mindset about creating value.” They then completed their team with “entrepreneurial” full stack developer, Femi Oladele.